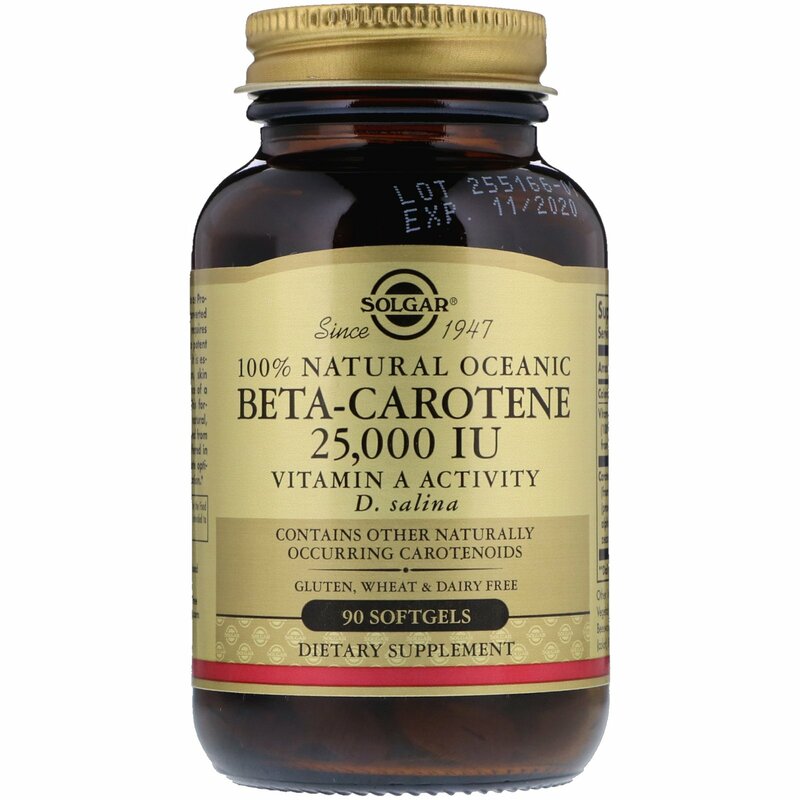 Beta-carotene is referred to as Pro-Vitamin A because it is converted into Vitamin A as the body requires it. This phytonutrient is a potent antioxidant. Additionally, it is essential for healthy vision, skin health and the maintenance of a healthy immune system. This formulation utilizes 100% natural, oceanic beta-carotene derived from the algae D. salina. 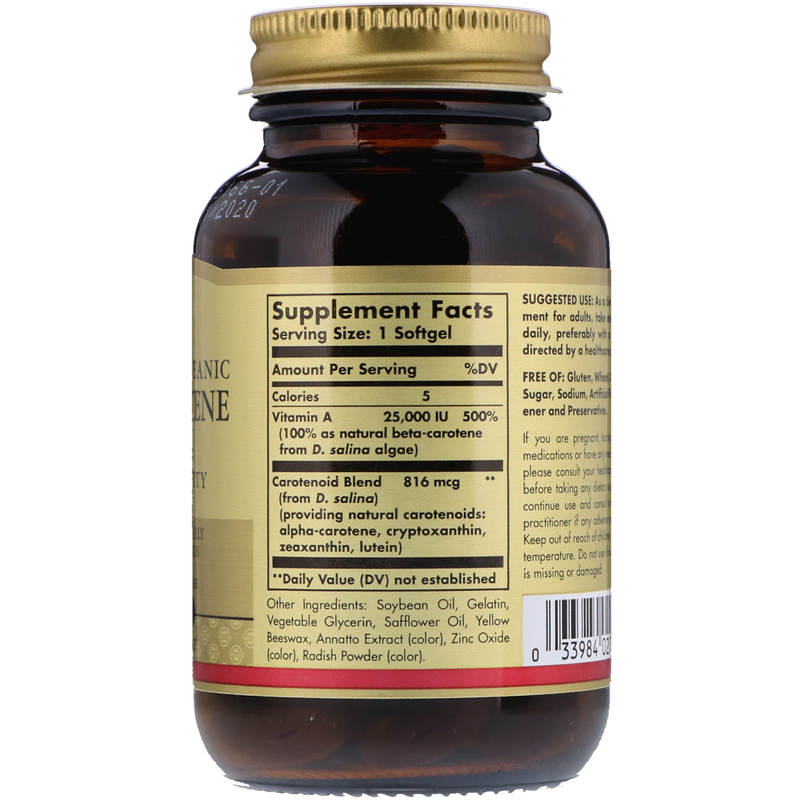 It is offered in oil-based softgels to promote optimal absorption and assimilation. Soybean oil, gelatin, vegetable glycerin, safflower oil, yellow beeswax, annatto extract (color), zinc oxide (color), radish powder (color).